For an enjoyable hiking experience inside the park, we recommend you acclimate yourself before beginning this trek. Pick-up is at your hotel at 7 AM for your transfer by private bus to the starting point of the trek. We pass through the picturesque cities of Yungay and Caraz, where the two imposing summits of Huascaran appear before us. We follow a llama track that ascends the first Andean buttresses, and then travel to Huishcash where we view our next snow-covered peak - Milluacocha. 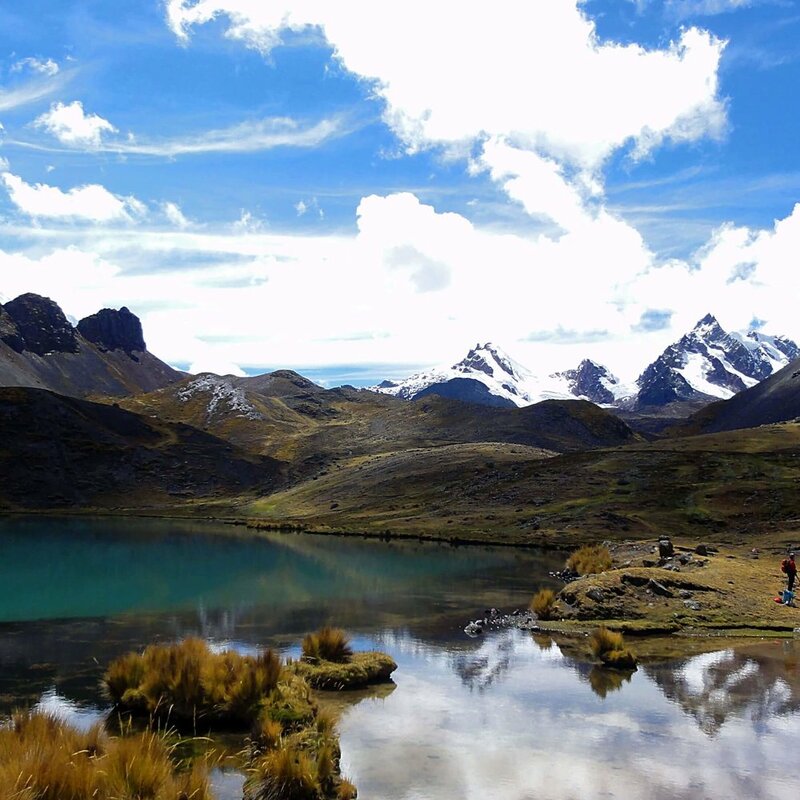 From here, we take a short walk with splendid views of the Yanacocha lake to our camp. After a healthy breakfast, we take a short trek to reach the Ventana Pass (15580ft). Then, we follow an easy path all the way to the end of Valley de Los Cedros where, Alpamayo (19511ft), “the most beautiful mountain in the world" stands. We camp by the plains of Jancarurish (14590’). We enter the northern area of the Cordillera Blanca today, with the crossing of the hard to reach Caracara pass (15845’). 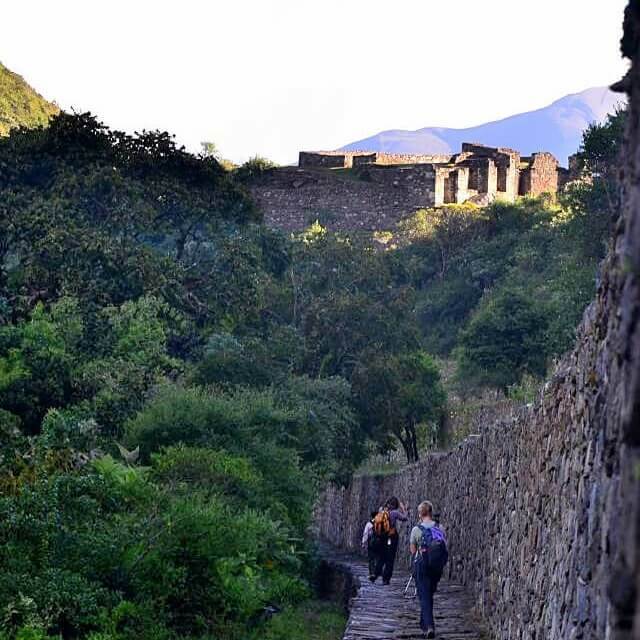 We then enter the immense “Ichu” covered Mayobamba valley, and continue towards Huilcapampa. The plains here are usually filled with herds of Alpacas and sheep. Our day starts by following the narrow valley towards the pass. From the Huilca pass (4600m/15091ft), we get the sensation that we can reach out and touch the Pucahircas mountains and glaciers! In the early morning on the Jancapampa plain we get our first glimpse of the immense Pucahirca glacier, which seems as though it is about to fall! We then take a gentle hike with an easy and small pass. We make camp close to the Huecracocha lagoon. Today we ascend the Pucaraju pass (4750m/15583ft). 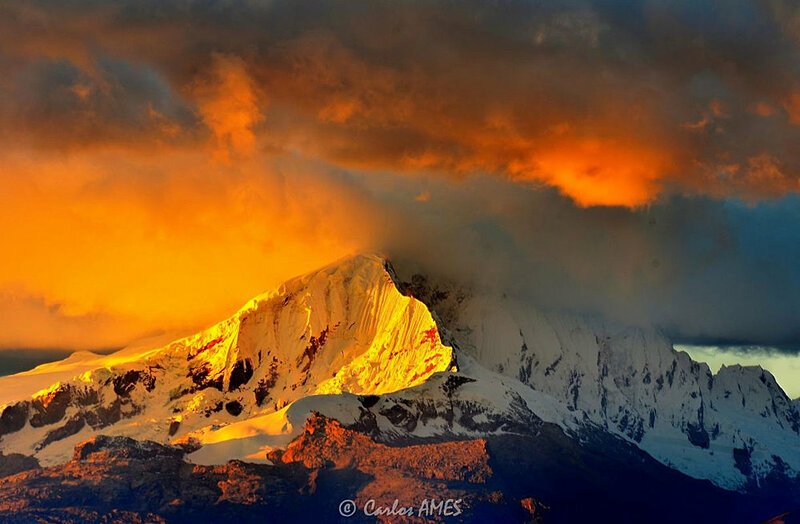 From the pass, we have great views of Cordillera Blanca, with mountains Paria, Artesonraju, and Taulliraju. Passing by Colcabamba, we start to climb towards Vaqueria where our transport takes us back to Huaraz. We pass by the Portachuelo Pass, with awesome views of Huascaran, Huandoy, Chacraraju, Pisco and Chopicalqui, and the Llanganuco Lakes. We continue to Yungay and Huaraz. There are no hot showers along the trail, but every morning and night you are be provided with a bowl of hot water to wash with. Boiled drinking water is provided after the meals. The meals provided on the Alpamayo Trek are healthy and abundant with 3 courses, and the assistants put up a communal tent to eat in for all meals, including lunch.